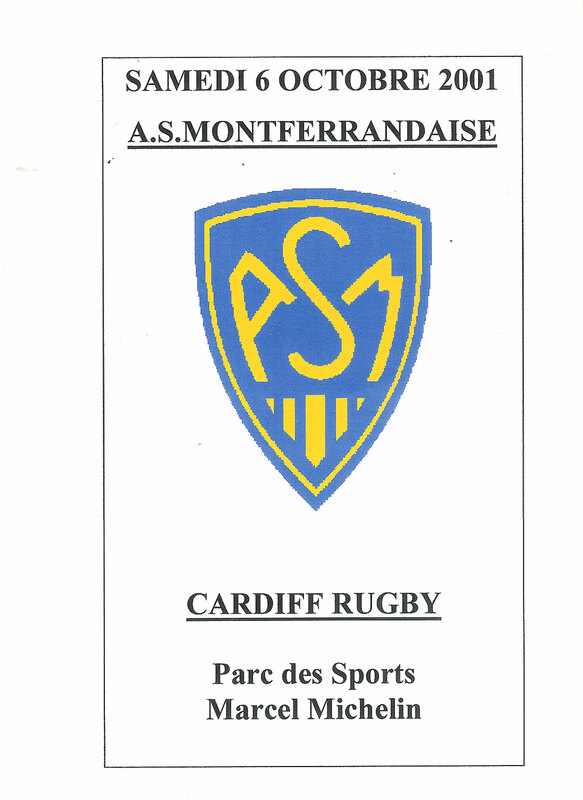 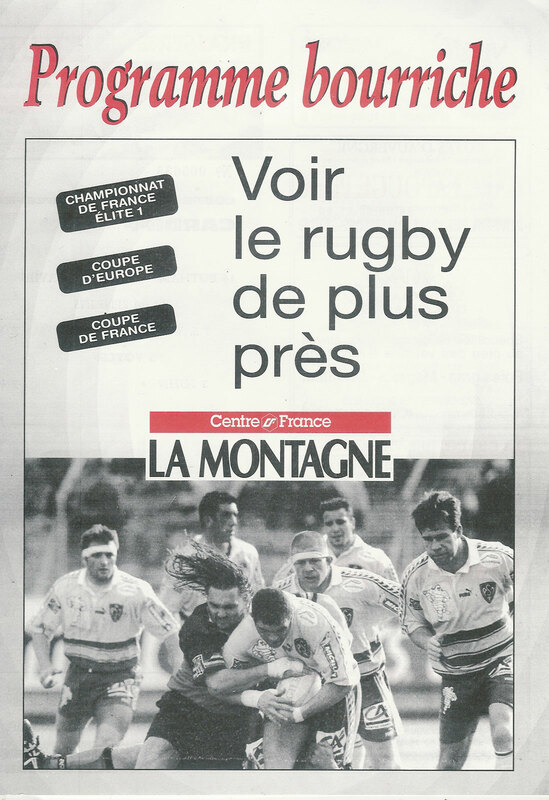 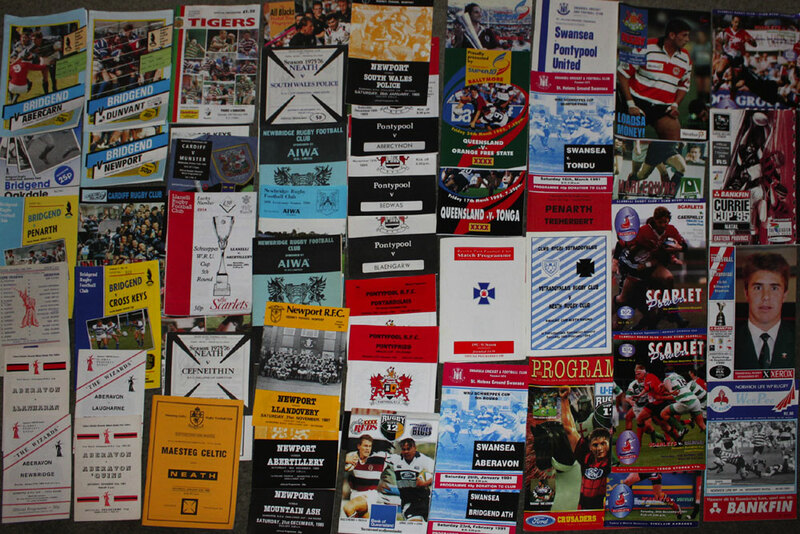 A selection of club, county and provincial Rugby programmes from around the world. 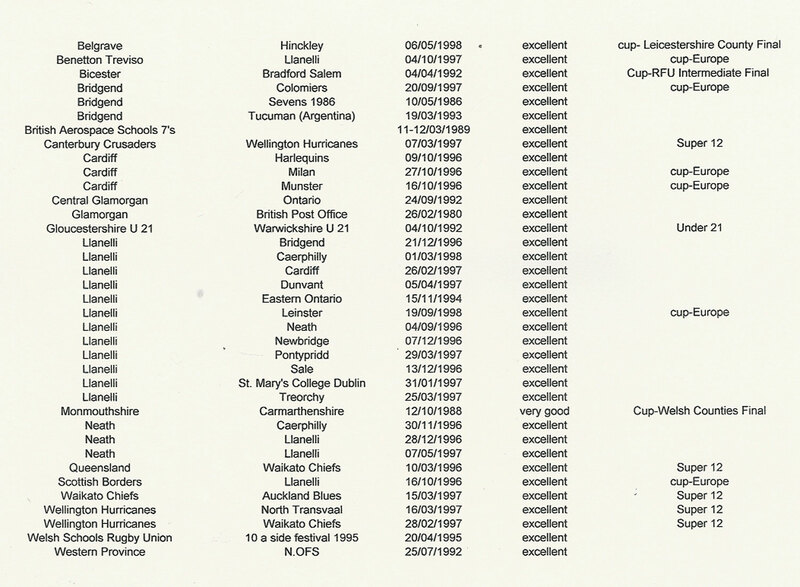 PLAYER SEARCH - Are you searching for programmes or information relating to the career of an individual player? 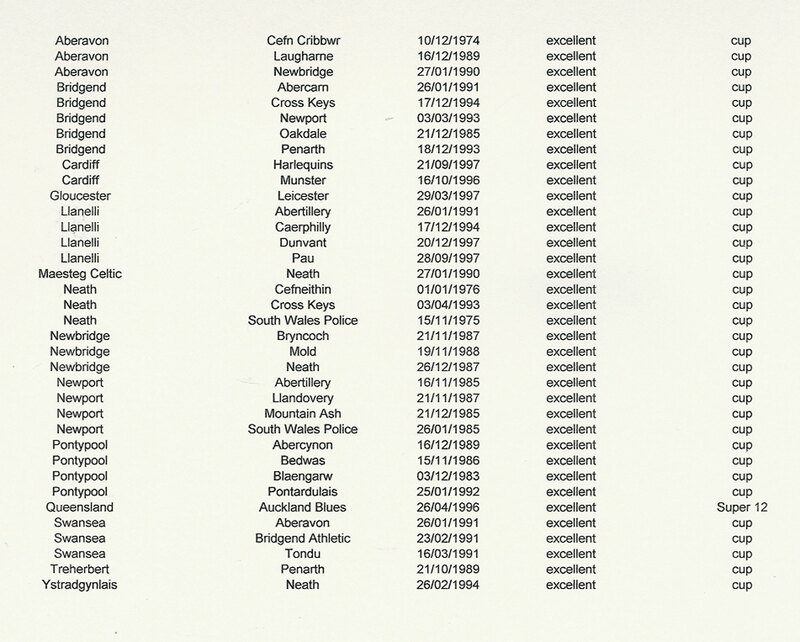 - CLICK HERE FOR MORE INFORMATION on how we can help you. 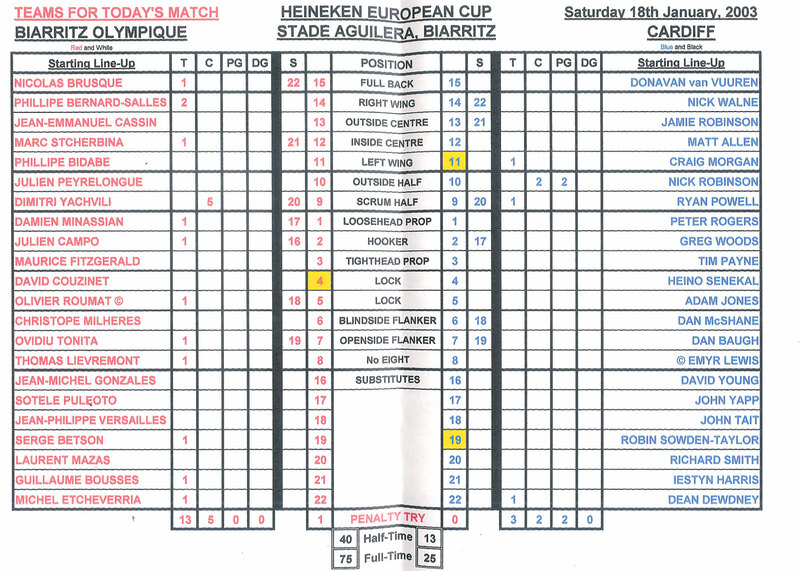 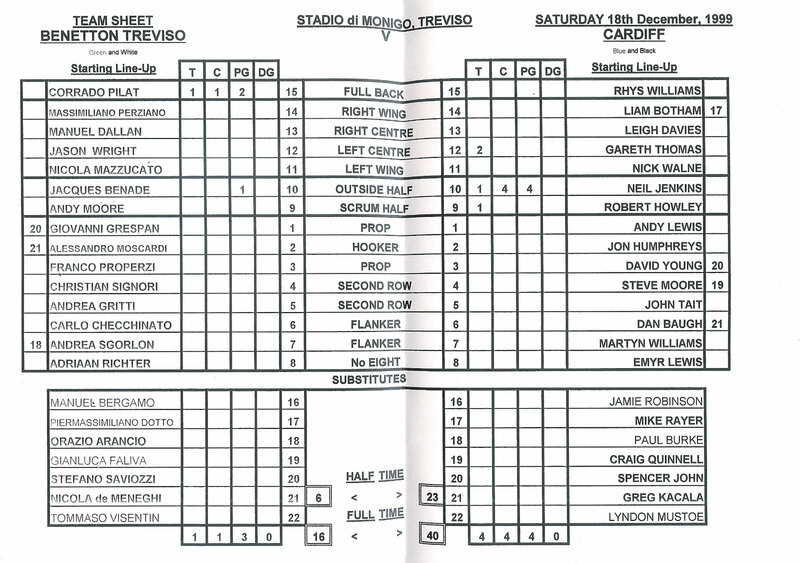 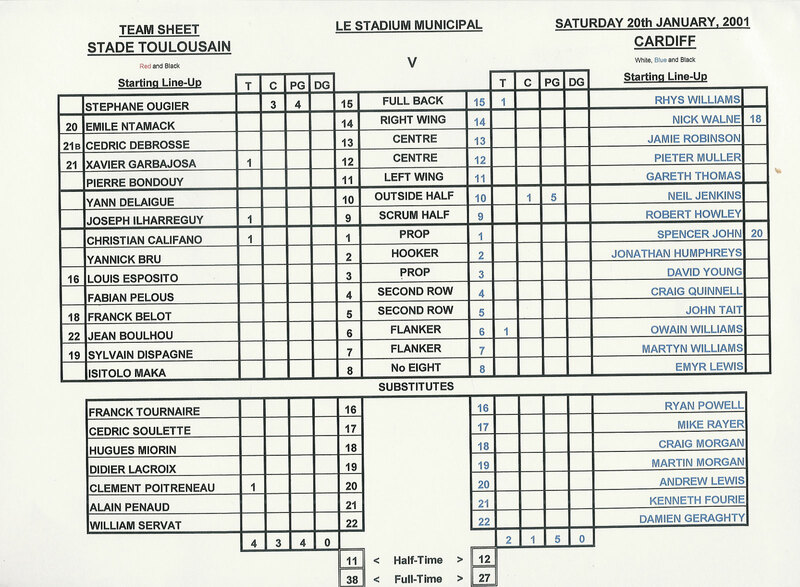 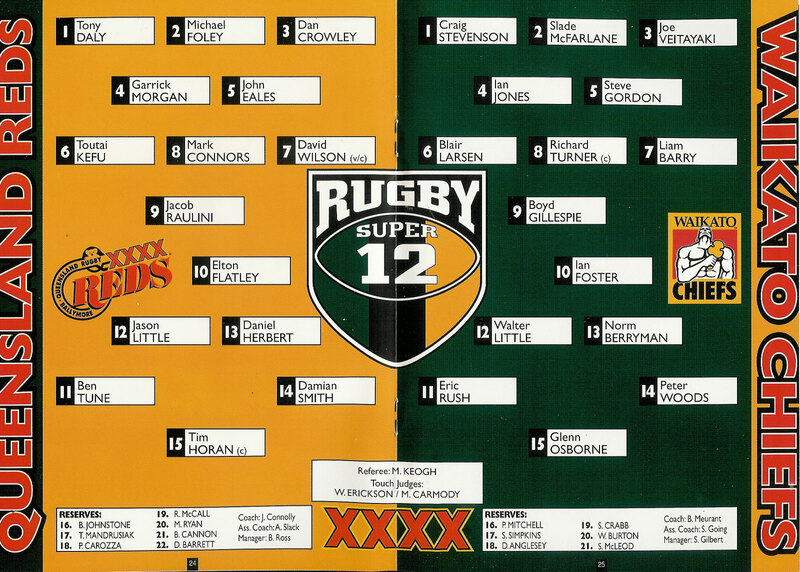 The majority of programmes from Australian State and Super 6 - 14 teams can be found on a separate page. 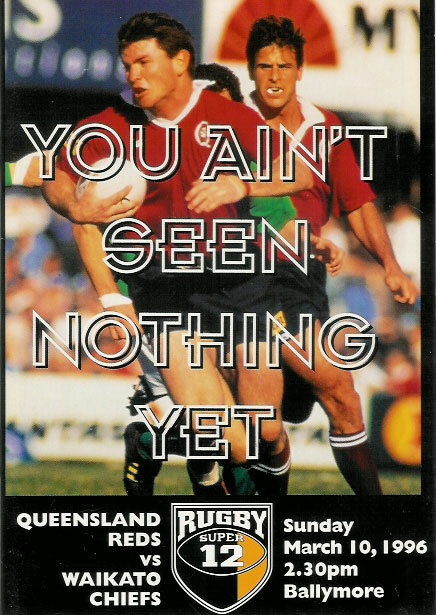 These programmes include Trans-Tasman encounters, Super 6, 10, 12 & 14 matches, South Pacific Championship and inter-state encounters. 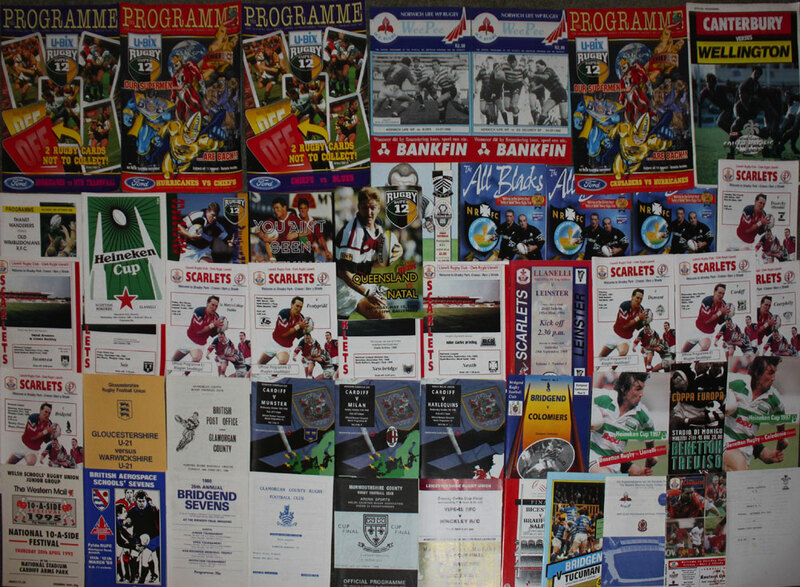 These programmes are listed in either home team, or away team listings. 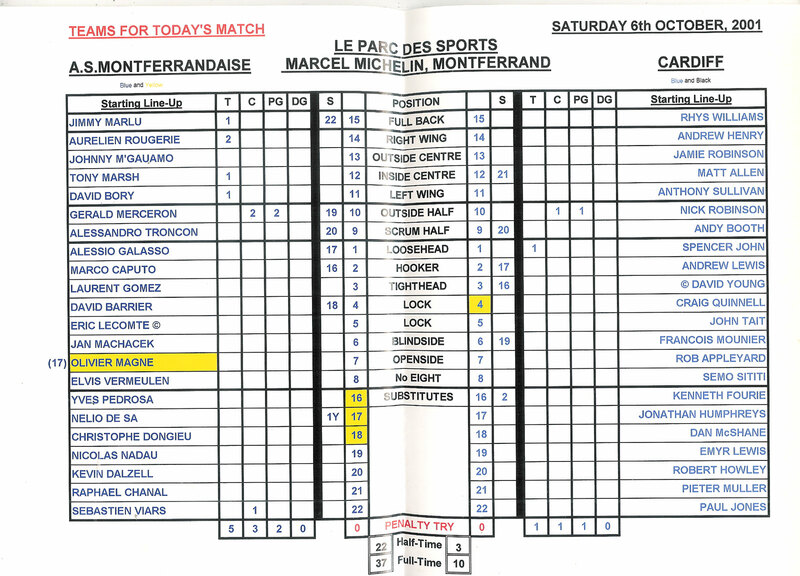 Please click on the links below to be taken to the page of your choice. 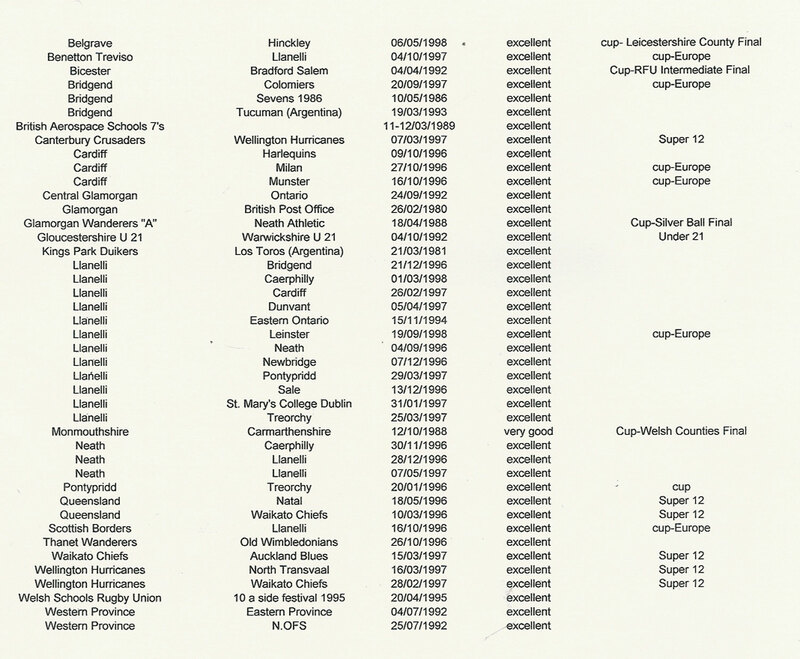 A large selection of New Zealand provincial programmes can be found on a separate page. 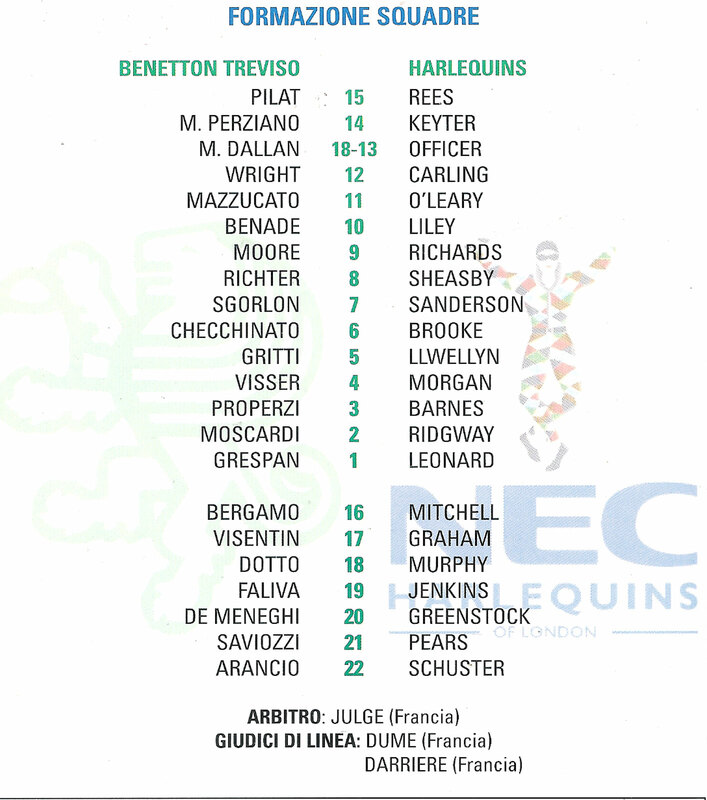 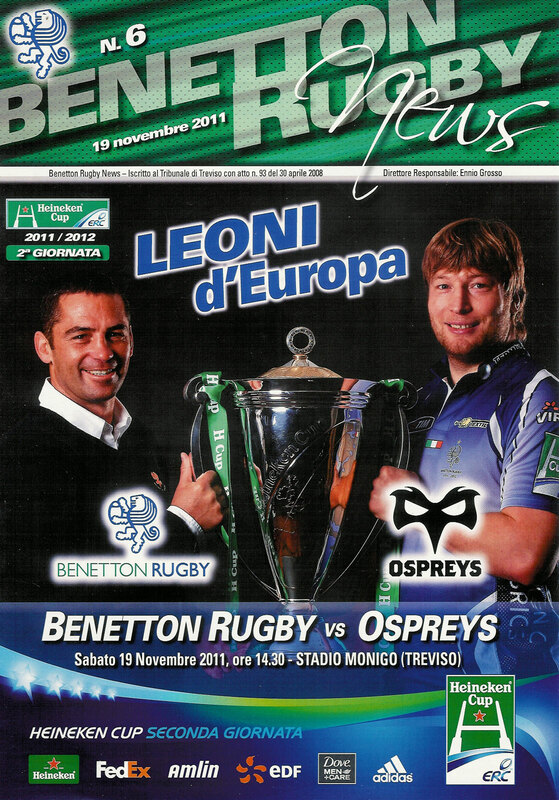 To view these programme please click on the link below. 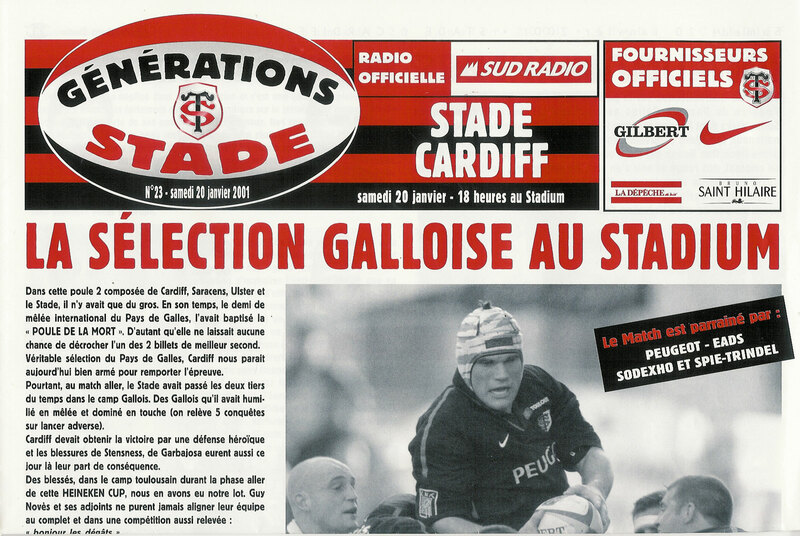 A Bundle of 43 miscellaneous programmes. 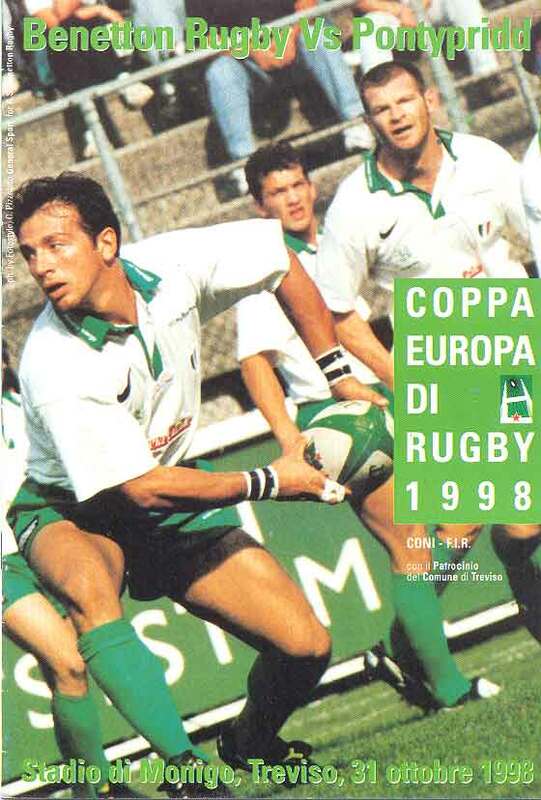 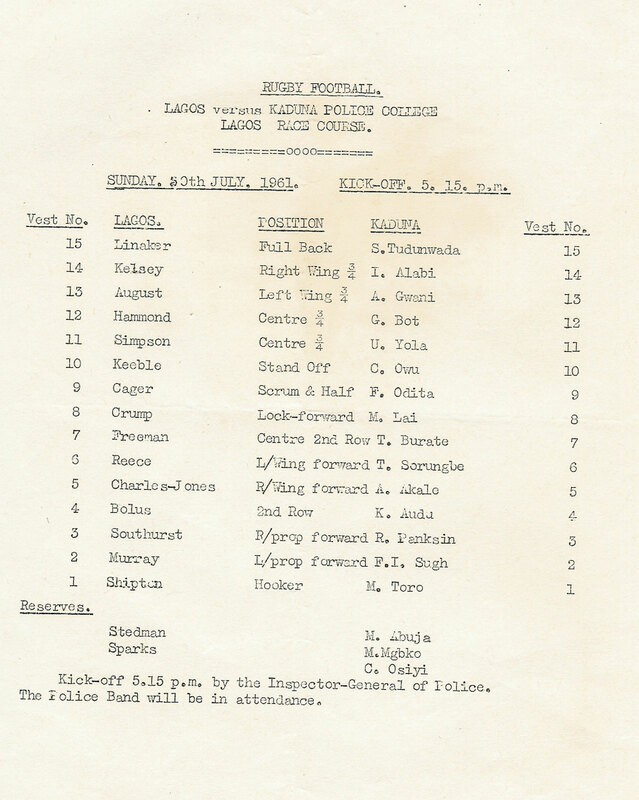 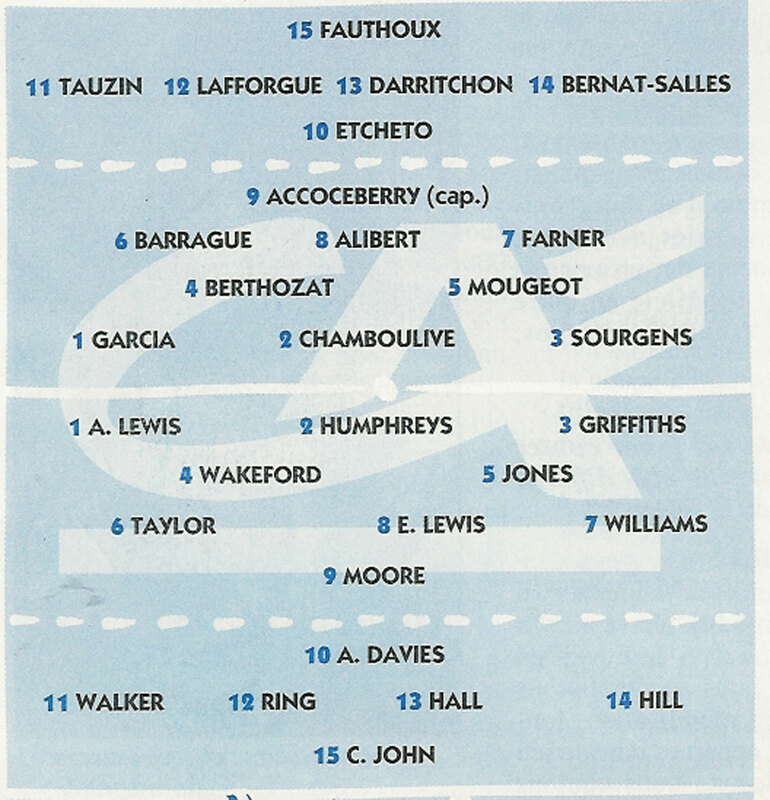 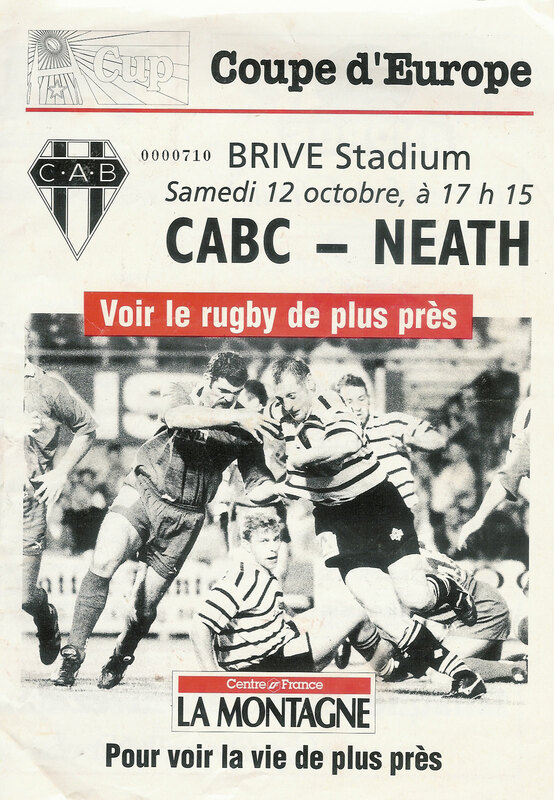 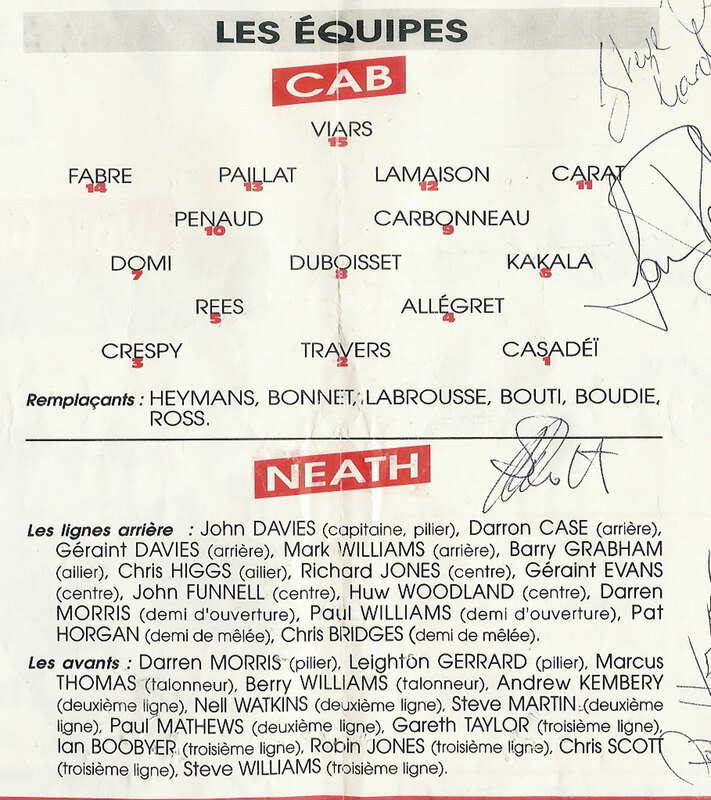 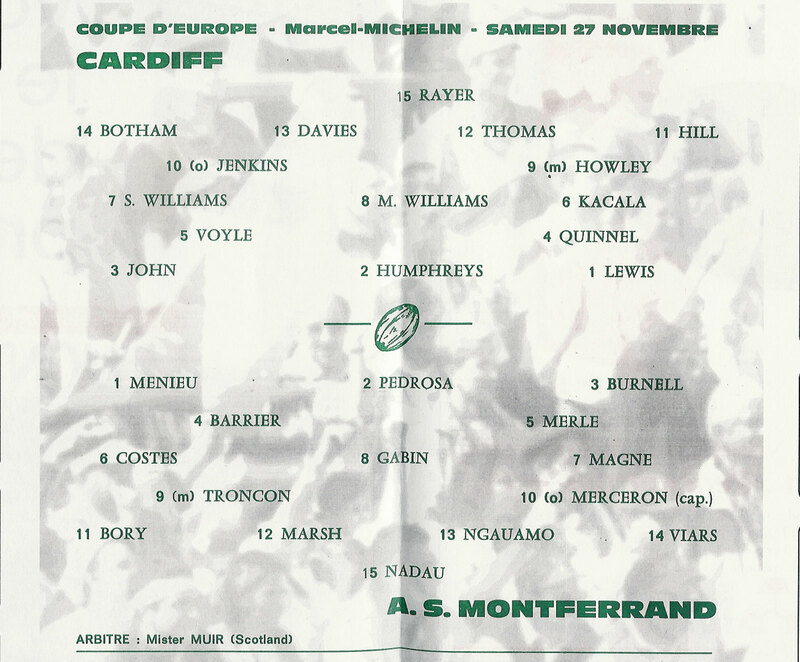 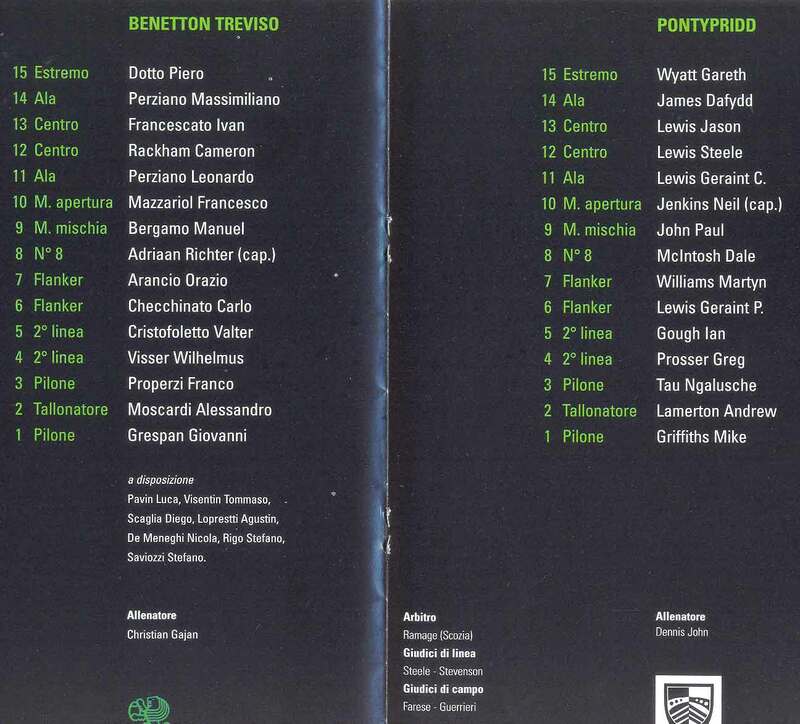 The programmes contained in this bundle include early Heineken Cup fixtures, Sevens, Super 12 and Welsh club programmes. 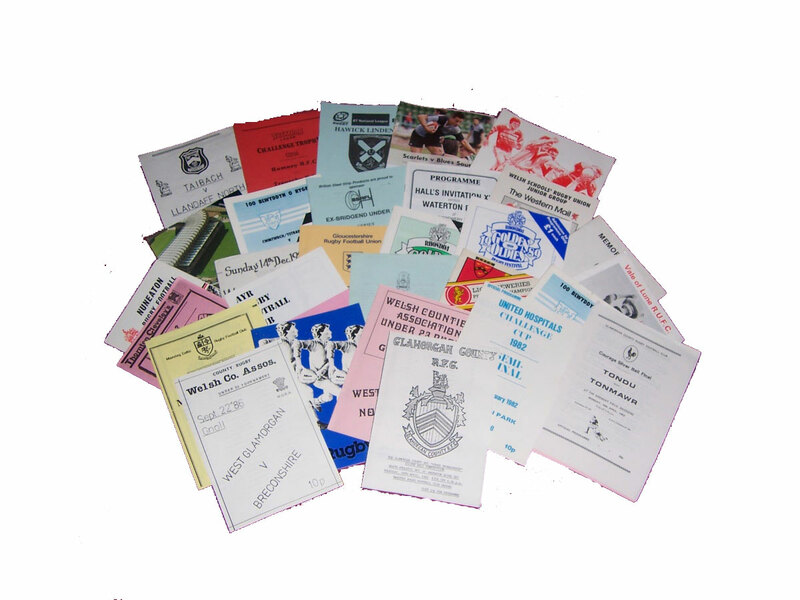 A Bundle of 37 miscellaneous programmes. 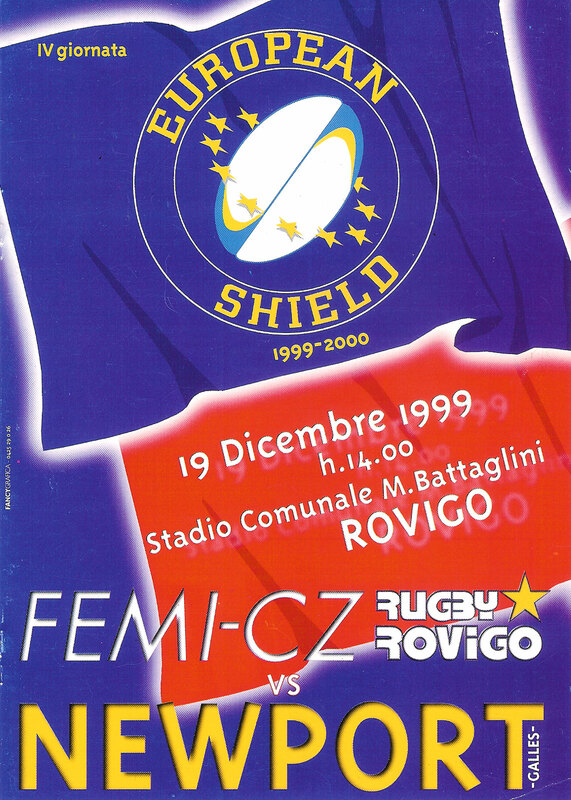 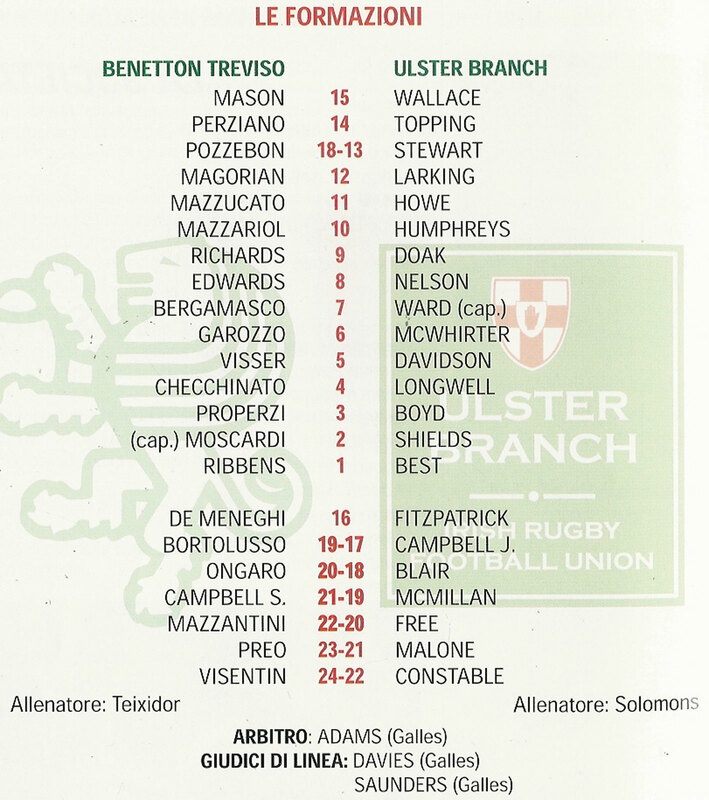 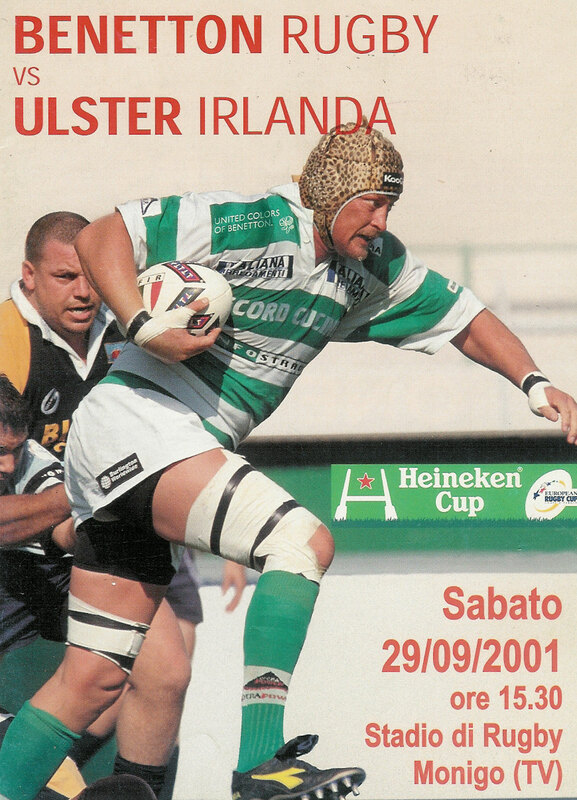 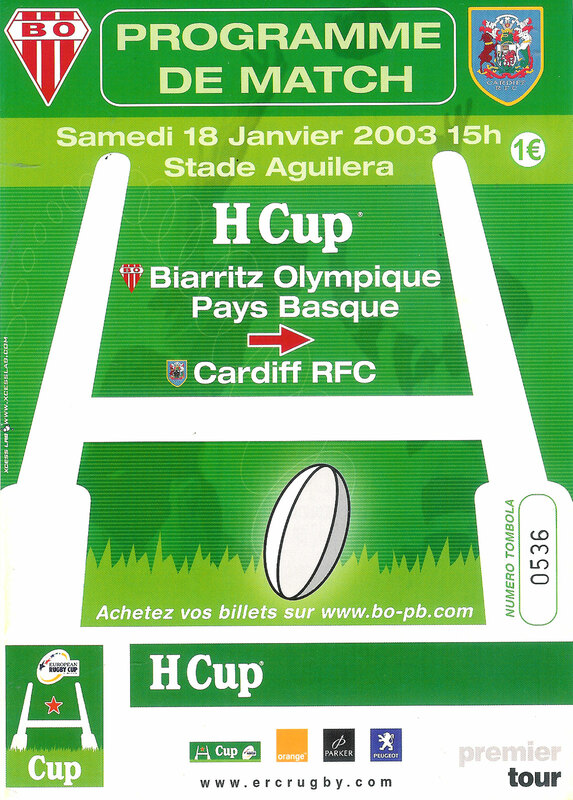 The programmes contained in this bundle include early Heineken Cup fixtures, Sevens, Super 12 and Welsh club programmes. 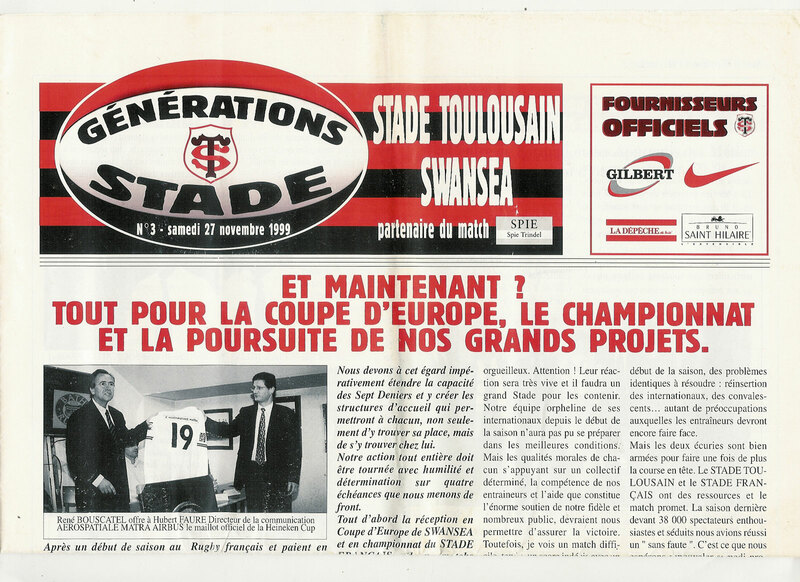 A Bundle of 29 miscellaneous programmes. 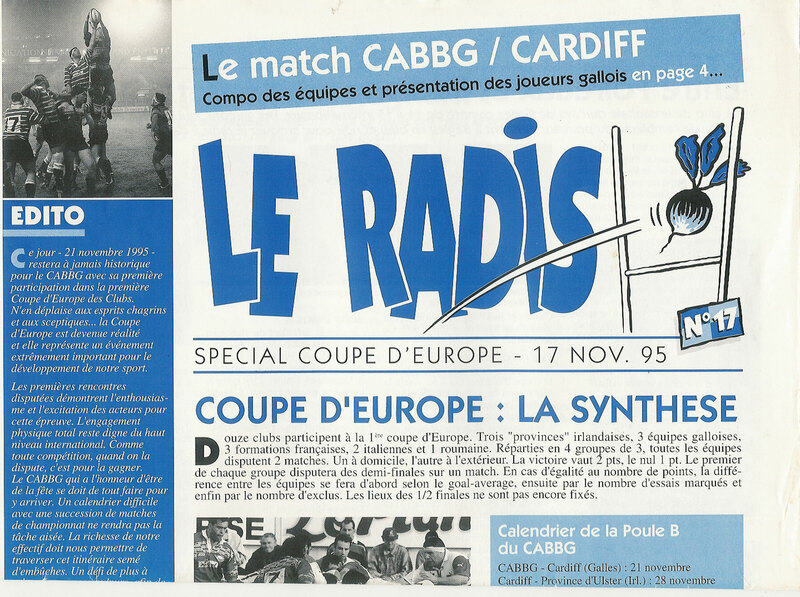 The programmes contained in this bundle are as follows, Scarlets v Blues South WRU Reebok Regional Championships 2004/5 - Hawick Linden v North Berwick 2006 - Rumney v Treorchy Challenge Trophy Final 1985 - Taibach v Llandaff North 1986 - Gloucestershire Under 21 v Warwickshire Under 21 1992 - Mini Rugby 3rd Edition 1979/80 - Maesteg Celtic v Morriston 1995 - Neath Athletic v Aberavon Quins Silver Ball Competition 1982 - West Glamorgan v Breconshire Under 23s 1986 - United Hospitals Challenge Cup 1982 Semi Final - West Glamorgan v North Wales 2 copies - Tondu v Tonmawr Courage Silver Ball Final 1993 - Cwmtwrch/Ystradgynlais v International XV 1991 (2 copies) - Lion Breweries Provincial Championship Town v Country 1982 - Lancashire v Durham U-16 and U-18 1986 - Rhondda Golden Oldies Rugby Festival 1989 - 1st XV v Presentation College Bray 1992 - The Ayrshire Mini-Rugby Festival 1992 - Arnold School v Blackpool College - Harrogate v The Luddites Memorial Match 1988 - Rhondda Golden Oldies Rugby Festival 1988 - Nuneaton Youth v Rosslyn Park Youth 1980 - Warwickshire U19 v Lancashire U19 1980 - National 10-A-Side Festival 1995 - Hall's Invitation XV v Waterton 1996 - Ex-Bridgend Under 11s v Wayne Hall's Invitation - Cardiff v Bath Gas Challange Charity Shield 1987 - British Police XV v Glamorgan County XV 1987.